Theonomy may not be heard regularly from pulpits, but it is a view that is alive and well among Christians who take the Bible seriously and are struggling to understand how to apply it to the world they live in. As appealing as theonomy may be for its apparently simple answer to a difficult subject, it is actually entirely (100%) incompatible with 1689 Federalism. Theonomy, properly defined as the belief that all nations today are obligated to obey Israel’s judicial laws because they have not been abrogated, relies upon an extreme version of the “one substance, multiple administrations” view of covenant theology. It stresses that the Old Covenant is really just the Older Covenant and the New Covenant is just the Newer Covenant – both being administrations of the covenant of grace. Since 1689 Federalism rejects this model, there is no way to hold to both theonomy and 1689 Federalism. Hearty agreement must be given when New Covenant theologians argue for the abolition of the Old Covenant. This is clearly the teaching of the Old and New Testaments (see Jeremiah 31:31-32; Second Corinthians 3; Galatians 3, 4; Ephesians 2:14-15; Hebrews 8-10). The whole law of Moses, as it functioned under the Old Covenant, has been abolished, including the Ten Commandments. Not one jot or tittle of the law of Moses functions as Old Covenant law anymore and to act as if it does constitutes redemptive-historical retreat and neo-Judaizing. However, to acknowledge that the law of Moses no longer functions as Old Covenant law is not to accept that it no longer functions; it simply no longer functions as Old Covenant law. This can be seen by the fact that the New Testament teaches both the abrogation of the law of the Old Covenant and its abiding moral validity under the New Covenant. In Defense of the Decalogue, 61. To be clear, LBCF chapter 19 affirms that the moral law, the decalogue, continues to guide Christians as a rule of righteousness. The difference, however, is that moral law does not continue to guide by virtue of its unabrogated Mosaic establishment. It continues to guide as universal moral standard that transcends all covenants. (For more on this, see JOHN OWEN AND NEW COVENANT THEOLOGY: Owen on the Old and New Covenants and the Functions of the Decalogue in Redemptive History in Historical and Contemporary Perspective). “But the law is not of faith: but The man that doeth them shall live in them.” (Gal 3:12) Which testimony, quoted by the apostle from the law, is understood in respect of temporal life, in respect of the fear of losing which, men were in the habit of doing the works of the law, not of faith; because the transgressors of the law were commanded by the same law to be put to death by the people. The death penalty instituted under the Old Covenant for violation of the moral law was not itself part of the moral law. It was an addition to the moral law given by way of covenant. The shedding of blood by man for violation of the moral law was specifically a curse. Theonomists who believe Christians should enforce Mosaic curses for violation of the moral law are putting Christians under a covenant of works that we have been freed from (Gal 5:1; Acts 15:10). How is Christ’s Kingdom to come? Scripture is again very definite and explicit. The glorious peace and prosperity of Christ’s reign will be brought about ONLY as people obey the covenant law. In Lev. 26, Deut. 28, and all of Scripture, this is plainly stated. There will be peace and prosperity in the land, the enemy will be destroyed, and men will be free of evils only “If ye walk in my statutes, and keep my commandments, and do them (Lev. 26:3). The obedience of faith to the law of God produces IRRESISTIBLE BLESSINGS. “And all these blessings shall come on thee, and overtake thee, if thou shalt hearken unto the voice of the LORD thy God” (Deut. 28:2). On the other hand, disobedience leads to IRRESISTIBLE CURSES. . . .
God’s determination of history is thus plainly described in His law. If we believe and obey, then we are blessed and we prosper in Him; if we deny Him and disobey His law, we are cursed and confounded. . . .
God established His covenant with Adam, and again with Noah. It was a dominion covenant. It was man’s authorization to subdue the earth, but under God’s overall authority and under His law. God also covenanted with Abram, changing his name to Abraham, and instituting the sign of His covenant, circumcision. He covenanted with Jacob, Abraham’s grandson, changing his name to Israel, promising to bless Jacob’s efforts (Genesis 32:24-30). God covenanted with Moses and the children of Israel, promising to bless them if they conformed to His laws, but curse them if they disobeyed (Deuteronomy 8:28). The covenant was a treaty, and it involved mutual obligations and promises. The ruler, God, offers the peace treaty to a man or selection of men, and they in turn accept its terms of surrender. The treaty spells out mutual obligations: protection and blessings from the King, and obedience on the part of the servants. It also spells out the term of judgement: cursings from the King in case of rebellion on the part of the servants. This same covenant is extended to the church today. It covers the institutional church, and it also applies to nations that agree to conform their laws to God’s standards . . . . This failure to distinguish between biblical covenants and the way the law functions in each is both the lynchpin and the fatal error of theonomy. Theonomy rests upon what is called “monocovenantalism.” You can see it in the above quote where North says we are under the same covenant as Adam before the fall. You could also say theonomy rests upon “mononomism.” This is why theonomy speaks of God’s law and God’s covenant in the singular. Compare the above two quotes with Abraham Booth (1689 Federalism). In this respect, however, as well as in other things, there is a vast difference between the Jewish, and the Christian economy. This disparity was plainly intimated, if I mistake not, by the opposite modes of divine proceeding, in establishing Jehovah’s kingdom among the Jews, and in founding the empire of Jesus Christ. To settle the Israelitish church, to exalt the chosen tribes above surrounding nations, and to render the ancient Theocracy supremely venerable, the divine Sovereign appeared in terrible majesty. Wasting plagues and awful deaths were often inflicted by eternal justice, on those who dared to oppose, or to oppress, the people of God. An angel was commissioned to destroy the Egyptian first-born; Pharaoh, with his mighty host, were drowned in the Red sea; and the Canaanitish nations were put to the sword, that the subjects of Jehovah might possess their fertile country. Manifest indications these, in connection with express promises, that the special Providence of God would exalt and bless the natural seed of Abraham with temporal felicity; provided they did not violate the Sinai Covenant. But when the Prince Messiah founded his kingdom, all things were otherwise. No marks of external grandeur attended his personal appearance: and, instead of executing righteous vengeance on those who opposed him, his language was, The Son of man is ‘not come to destroy men’s lives, but to save them. Father, forgive them, for they know not what they do! — After a life of labour and of beneficence, of poverty and of reproach, he fell a victim to persecution, and a martyr to truth. Such was the plan of divine Providence, respecting Christ our King, and such was the treatment with which he met from the world! Striking intimations, those, that his most faithful subjects would have no ground of discouragement, in any sufferings which might await them; and that, considered as his dependents, spiritual blessings were all they should have to expect. Our Lord has promised, indeed, that their obedience to his royal pleasure, shall meet with his gracious regards in the present life. Not by indulging them with temporal riches, or by granting them external honor and ease; but by admitting them into more intimate communion with himself, and by rejoicing their hearts with his favor. [ 66] Yes, to deliver from spiritual enemies, and to provide for spiritual wants; to indulge with spiritual riches, and to ennoble with spiritual honors, are those royal acts which belong to Him, whose kingdom is not of this world. In the bestowment of these blessings, the glory of his regal character is much concerned. But millions of his devoted subjects may fall by the iron hand of oppression, starve in obscurity, or suffer accumulated affliction in other ways; without the least impeachment of his power, his goodness, or his care, as the sovereign of a spiritual kingdom. -Booth, Abraham. An Essay on the Kingdom of Christ (Kindle Locations 1090-1130). Reformed Libertarian. For more on this, see Abraham Booth’s An Essay on the Kingdom of Christ. Excellent post concerning Theonomy. I’ve been following the debate for some time now. I dismissed it as a biblically sound construct by considering the text of scripture. Enjoyed reading this today, thanks! Thanks Brandon for taking the time to write these articles concerning the error of Theonomy. I Have seen first hand those who claim to be covenantal Baptist and Theonomist. Articles such as this one and also those written by CJ Engel have helped considerably. When is the book on the subject due? Thanks for the encouragement. Book is due sometime after we write it 🙂 Still doing research right now. We would appreciate prayer for the completion of the writing (time, wisdom, energy, and all that). 1. This is a great and timely article. Here in Louisville, I see Theonomy as a growing problem. As our society becomes more blatant in its disregard-or outright antagonism-for anything approaching a biblical idea of morality, many seem to be finding comfort in Theonomy, which *seems* to provide a straightforward framework for honoring God’s Word in our laws. I would love to see the contrast between the 2LBCF view and Theonomy discussed in another video on the 1689 federalism website. Yes, I’m seeing the growing attraction to theonomy as well, for the same reason. Christians can’t rest in the “common American consensus” any longer so they want biblical answers and find the simplistic solution offered by theonomy attractive. As to the republication issue, there are two types of republication: formal and material. Material republication is affirmed in WCF and LBCF in 19.1: the moral law (the material) of the covenant of works is republished on Sinai. This is the standard WCF view and many argue that the works principle found in the Mosaic Covenant is simply to be explained by this repetition of the moral law (see Guy Waters’ essay in The Law is Not of Faith). However, the problem is the law itself is not a covenant of works. Formal republication is the belief that the Mosaic Covenant itself was a covenant of works. 1689 Federalism affirms formal republication. 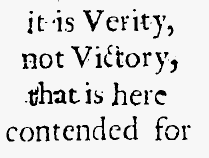 (However, take note that the confession itself allows for broader views than just 1689 Federalism). Thanks for working through this and posting it Brandon. In light of our current cultural strife, this is a timely issue. I hope it is helpful. I will have more to say in the future, Lord willing.